Unfortunately we do not support backing up mapped drives on Windows. There is a reason for it, and it's not us trying to prevent youfrom doing something so handy. 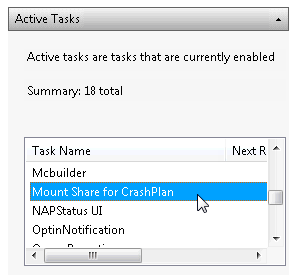 CrashPlan (for many reasons) runs as a Windows service. One of the key beneﬁts is it's running evenif you're logged out. This means backup continues and people can back up to you (if you allow them). The problem is, our service can'tsee the drives you mount for yourself. It's the way Windows works. Unlike other backup software CrashPlan PRO is designed as Windows service. This means that it's running when you're not logged in, backing you up. This is an important security feature. If your laptop was stolen, you'd want to be able to remotely track it even if theycouldn't log in, or perhaps restore data, or perhaps (when we add the feature) remotely wipe the machine. From a day to day perspective, this means that you can "lock" or "log out" of your Windows machine without giving up backup security. Most products run in "user space" which means they have access to "user space" mounted drives. We run in system space, so we onlyhave access to "system space" drives. Microsoft designed it so the system could not see user space mounted drives. We're not giving up though, we have some features in the works that allow us to go directly do device and bypass your "user space" mounted drive. This has other advantages as well. Now customers have "hacked around" this limitation of Windows by having a script that runs on boot do a "net use" for "system" to attach the drive. There is a work around for those technically minded, and I've included it below. 1. Create a c:\tmp\mount.bat to mount your drive. The KEY element of the net use command is the /USER:ip_or_host\username syntax. Without the IP (or hostname name if Windows) it does not work. Download the example mount.bat or mount-bat.zip file. Now that you have your mount.bat ﬁle, creating the task on XP is easy. When you login with your Owner account you can see that there is a network mapped drive that you do not have permission to read (the Disconnected) drive.. that's the mapping CrashPlan PRO will be using. Create a Task that will run the .bat as the system user on Windows Vista. 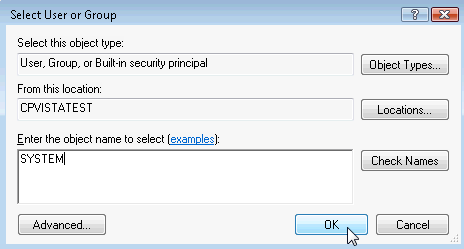 For Vista the batch ﬁle remains the same, but the steps to create a Scheduled Task are different. 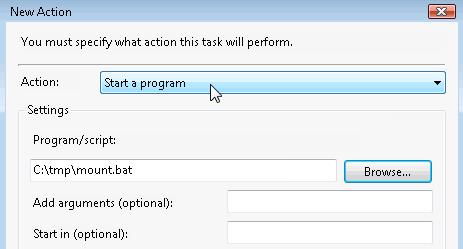 Actions Choose the "Start a Program" action and select your bat ﬁle that should be run. Press OK to create the task. Your task will appear within the Active Tasks list. Log out and in to test the new Task. Windows: Wie kann ich ein geteiltes Verzeichnis, ein Netzlaufwerk oder NAS-Laufwerk sichern? Windows: Hoe backup ik een gedeelde map, netwerkschijf of NAS?